Ideal for promoting your shop on Wechat. 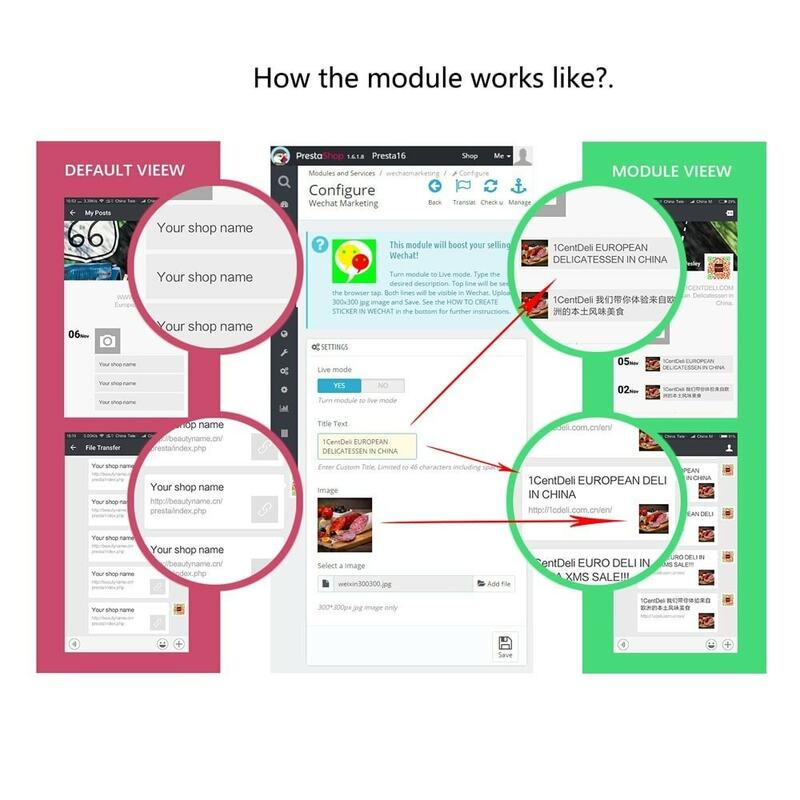 The module lets you integrate your Prestashop with Wechat requirement. In just a few clicks you can create custom shop stickers with custom descriptions, slogans, images and publish no Wechat. 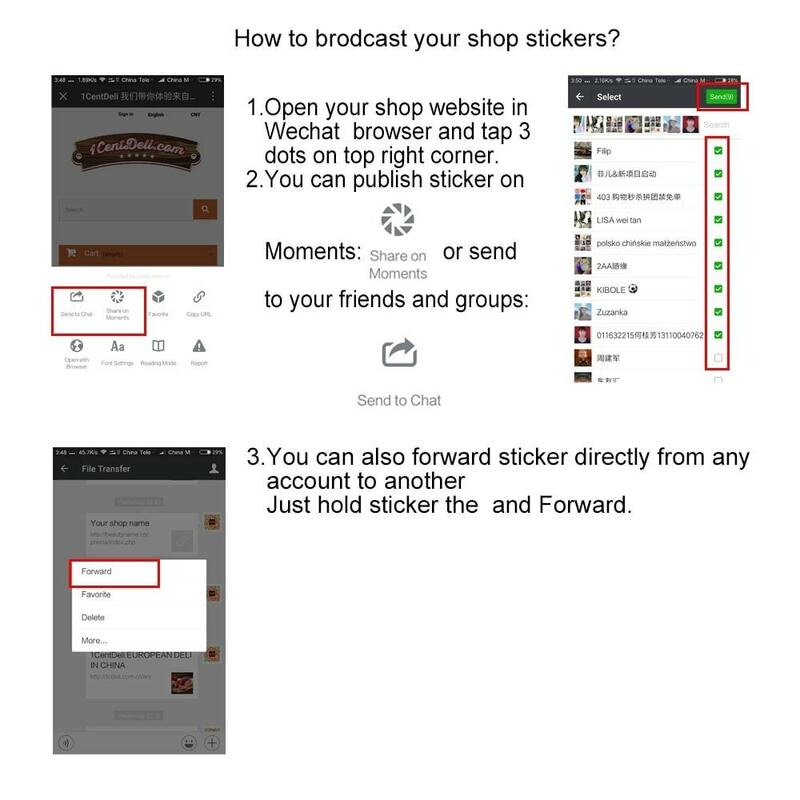 Publishing your shop cards stickers on Wechat chat. Forward your shop stickers to the contacts and groups. You can also publish your shop card stickers on your Wechat Moments. Wechat is one of the fastest growing mobile communication and social application in the word. Wechat has about 1.5 billion active accounts and growing very fast. Integrate Prestashop and Wechat to let you create shop card stickers with custom descriptions, slogans, and custom thumbnails. Let you create a lot of customs sticker for shop introduction, promotion, sales etc.. Significantly increase publish range on Wechat. 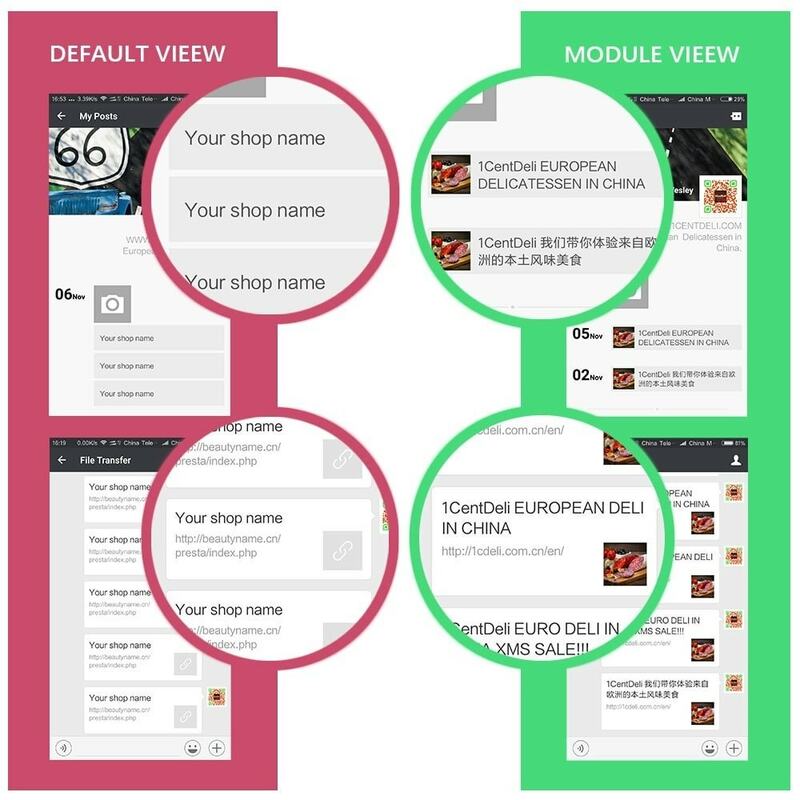 Increase quality of your shop introduction and image on Wechat. Bring new clients and increase selling.